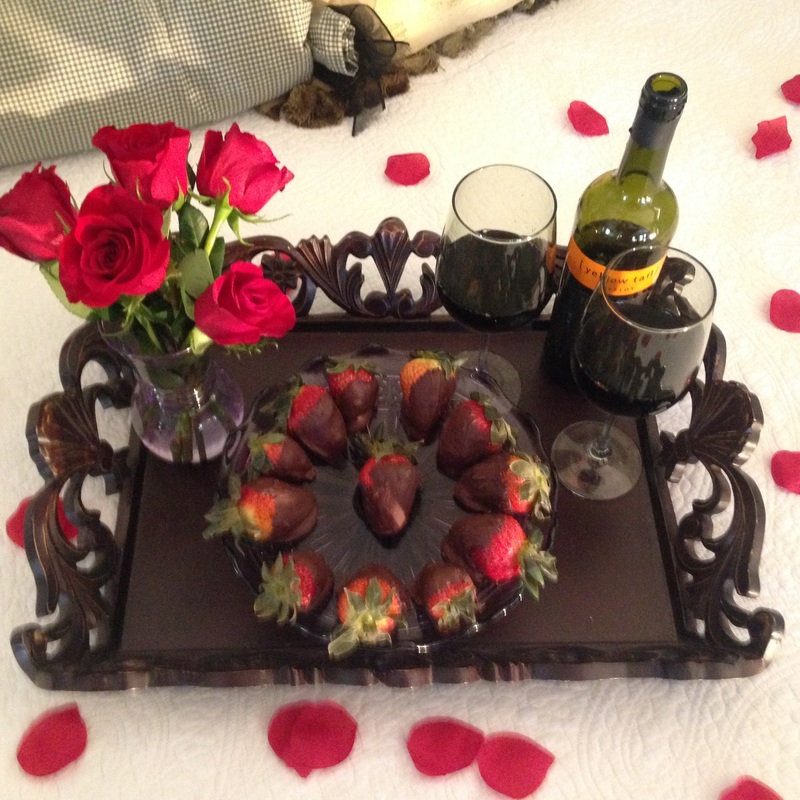 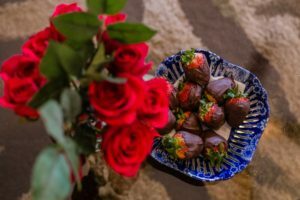 The I love you package provides a dozen chocolate covered strawberries, silk rose petals sprinkled on the bed and a small bouquet of roses in a glass vase for $40. This will provide a little extra touch of romance for your night. 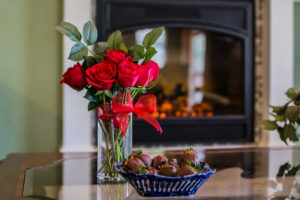 Let us know a week before your visit and everything will be ready for you when you arrive.